Calligraphy meets botanicals meets pure artistic genius. Entertain your guests and pamper yourself with these beautiful pieces of art. There are four 8-inch dessert plates, 4 10-inch dinner plates and one 12-inch cake plate. 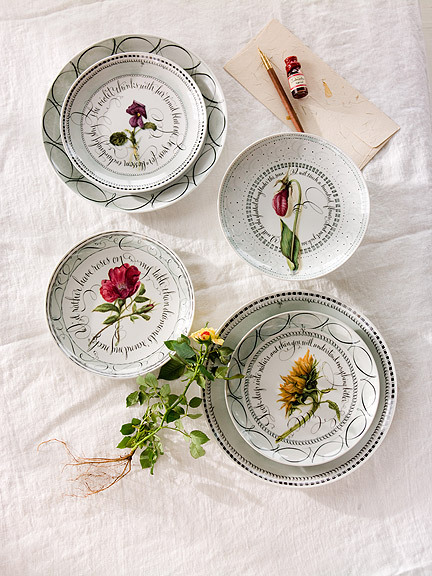 Each dessert plate has a different original Maria Thomas botanical illustration and special quote. On the Violet plate: "The violet thinks with her timid blue eye, To pass for a blossom enchantingly shy." On the Lady Slipper plate: "I will touch a hundred flowers and not pick one. I will be the gladdest thing under the sun." On the Beach Rose plate: "I'd rather have roses on my table than diamonds 'round my neck." And on the Sunflower plate: "Look deep into nature and then you will understand everything better." All four dessert plates are only $55 for a set. 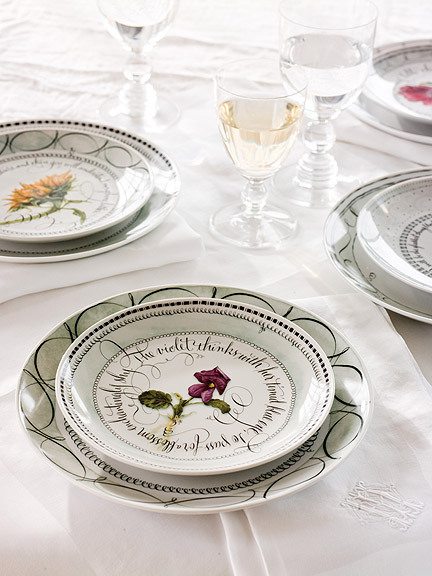 Graceful and playful flourishes dance over a water color border on these four different 10-inch dinner plates. Mix and match them with your dessert plates. 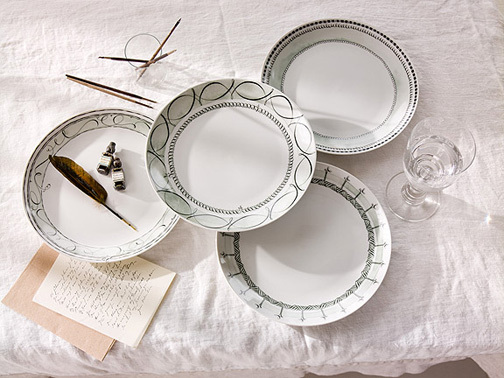 All four dinner plates are only $95 for a set. 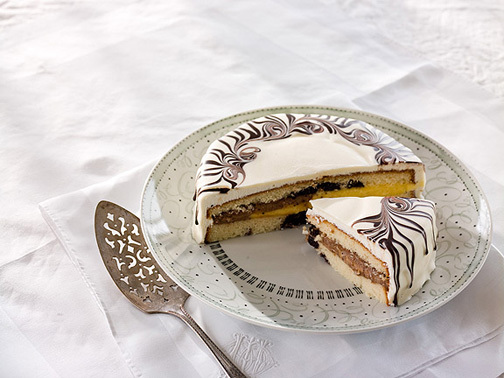 A delightful interplay of brush and pen encircles this 12-inch cake plate. $45. Piece of cake.